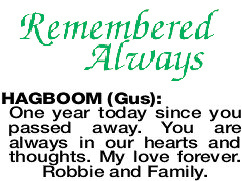 HAGBOOM GUS One year today since you passed away. You are always in our hearts and thoughts. My love forever. Robbie and Family.